The automaker will spend more on e-commerce, dealerships and an annual promotional event. PARIS — Volvo Car Group is shifting its focus from auto shows, where automakers vie for influential eyeballs in an atmosphere of glamour and glitz, to market more directly to buyers instead. Starting next year, Volvo Cars will take part in just one motor show per region: Geneva in Europe, Shanghai or Beijing in China and Detroit in the U.S., the Gothenburg, Sweden-based company said Monday. Still, the automaker plans to increase its marketing budget by spending more on e-commerce, dealerships and an annual event to promote its models. “We have been doing what is expected in the car industry so far, and we’re going to do things that are unexpected,” said Alain Visser, who heads marketing and sales. The automaker needs to “stand out and challenge things,” just as its products will, he said. 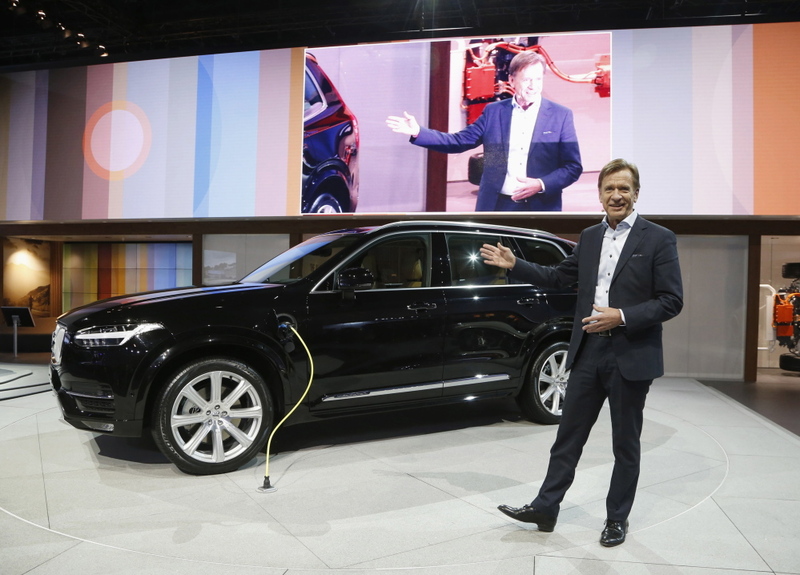 Volvo’s decision to leave some key auto shows, including Frankfurt and Paris, contrasts with the desire of German competitors BMW, Audi and Daimler’s Mercedes to show off. Champagne flowed in the VIP rooms at the last Paris event in October, guests nibbled on macarons and even Volvo tempted passers-by with virtual-reality headsets and cooling cascades of mist. Interest in such shiny and sometimes extravagant affairs is especially high in emerging markets, where car ownership is soaring. “When we go there, we try to be the best,” said Luca de Meo, Audi’s sales chief. “We see them as very important platforms,” he said, especially in growth markets like China, where car shows are proliferating. Audi, the world’s second-largest luxury-car brand, attends all the major international shows including Paris, Geneva and Shanghai. At the last two industry events in Frankfurt, the Volkswagen unit constructed temporary free-standing exhibition halls to display its latest models and seek to one-up rivals. In 2011, that meant spending more than $12 million on an indoor test track. Volvo will probably sell about 465,000 vehicles in total this year, Visser said. By comparison, Bayerische Motoren Werke AG is set to deliver more than 2 million autos this year, a record, after handing 1.9 million over to customers from January to November. Audi sold 1.59 million cars over the same period, also setting a record. Daimler delivered 1.49 million Mercedes-branded vehicles. To build sales, Volvo plans to lure customers using a revamped website and digital commerce, aiming to gradually start selling online around the world. “Chinese billionaire Li Shufu’s Zhejiang Geely Holding bought Volvo from U.S. automaker Ford in 2010.